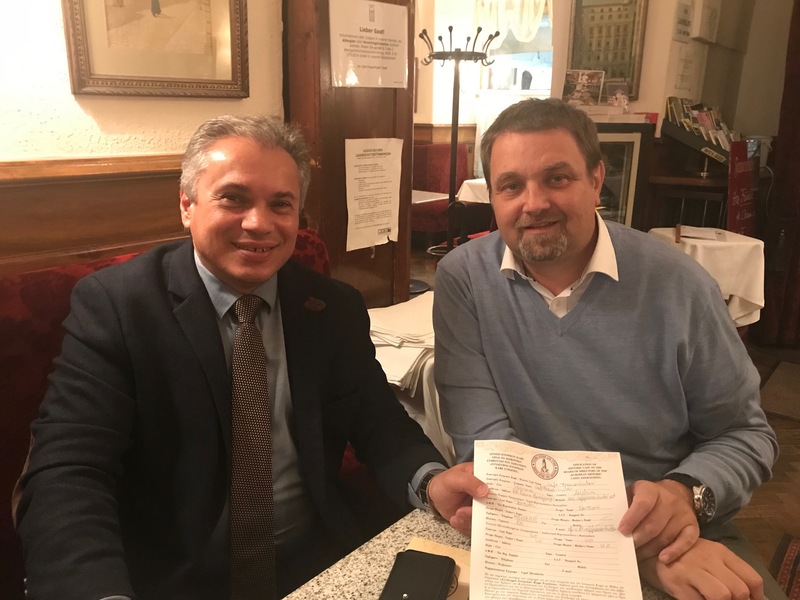 The Founder and President of the Historic Cafes Association Mr. Vasilis Stathakis had successful meetings at historic Cafes in Vienna, Salzburg, Bratislava and Budapest (11.11.2018- 18.11.2018). Also Mr Stathakis met with Messrs. Nikolaos Sapountzis, Deputy of the Greek Embassy in Vienna and Michael Vrettakis, Economic and Trade Advisor of the Greek Embassy in Vienna. During their meeting, Mr. Stathakis presented the initiatives of EHICA as well as the Association’s future steps, while extensive discussions were held on the possibility of future EHICA’s partnerships at events in Austria. Mr Stathakis had also a number of meetings with Historic Cafes Owners in Vienna and Salzburg, among them the President of the Historic Cafes Club of Vienna, Mr. Wolgfang Binder, with whom he began a fruitful collaboration. In fact, in Austria, EHICA had the pleasure welcoming in the Association 8 Viennese Historical Cafes, making Austria -the country with the longest tradition in Historic Cafes- the 11th country in which the Association is active through its members. A visit to Bratislava, and to the Historic Cafe Stefanka followed. Cafe Stefanka is one of the founding members of the Association. Finally, EHICA traveled to Budapest, where Mr. Stathakis visited Mr. George Tousounis, Economic and Trade Counselor of the Greek Embassy in Budapest to present him the newest initiatives of the Association, as well as the future plans of EHICA. Mr. Stathakis also visited two of the city’s Historic Cafés. The historic Cafe New York, which has been awarded by ucityguides.com as the most beautiful cafe in the world! And Café Central, which is one of the founding members of the Association. Also EHICA welcomed as a new member the Historic Café Ruszwurm, a beautiful coffee house with many awards located at the Budapest Castle. At the Greek Embassy in Vienna. 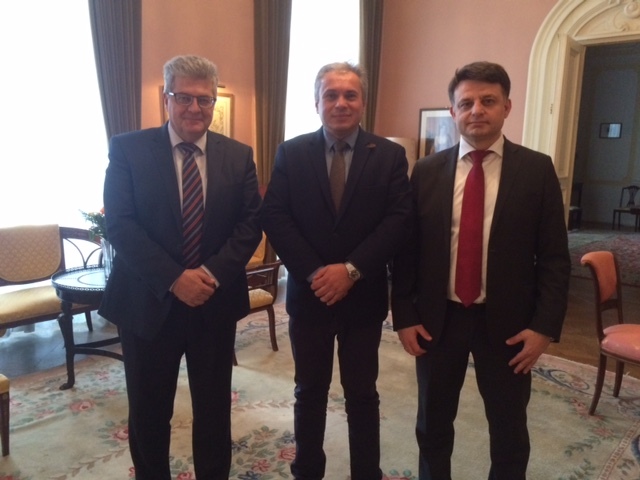 From the right, Mr. Nikolaos Sapountzis, Deputy of the Greek Embassy in Vienna, Mr. Vasilis Stathakis, Founder & President of EHICA and Mr. Michael Vrettakis, Economic and Commercial Advisor of the Greek Embassy in Vienna. 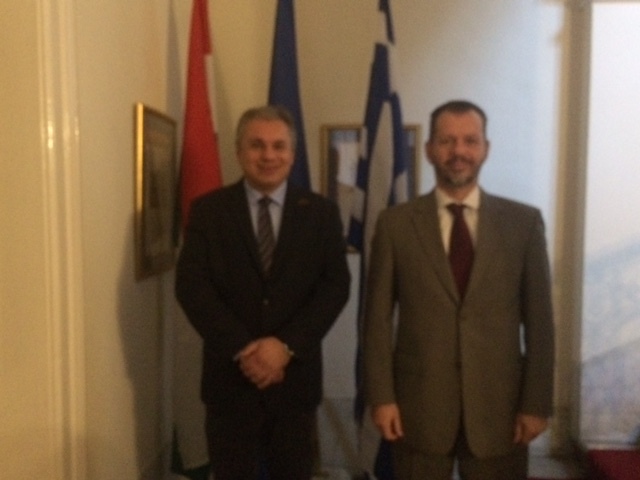 At the Greek Embassy in Budapest. From the right, Mr. George Tousounis, Economic and Commercial Advisor of the Greek Embassy in Budapest with Mr. Vasilis Stathakis, Founder & President of EHICA. Mr. Vassilis Stathakis with the President of the Club of the Historic Cafes in Vienna, Mr. Wolgfang Binder at the Historic Cafe Frauenhuber, the oldest Cafe in Vienna!